Late last Autumn, I met a lovely lady who stopped at my market stall in Alton, for a chat in the sunshine. 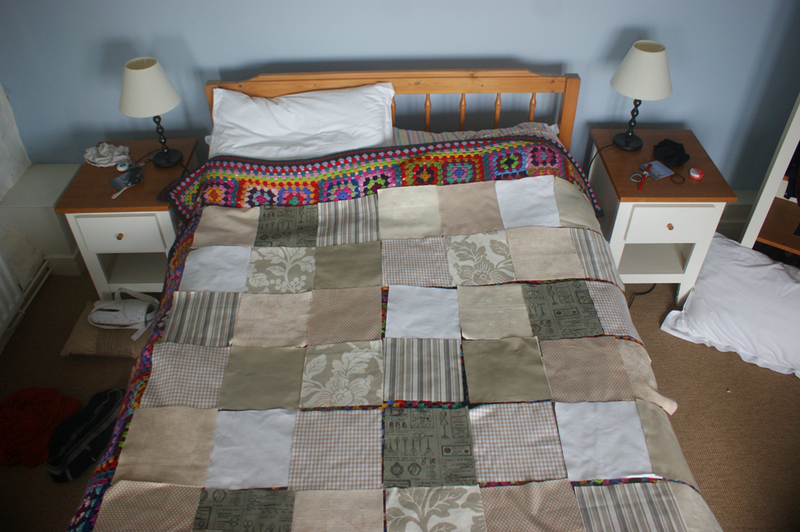 She admired my quilts, and asked if I could make a quilt especially for her. She went away to think about what she’d like to take back to her home in South Africa. 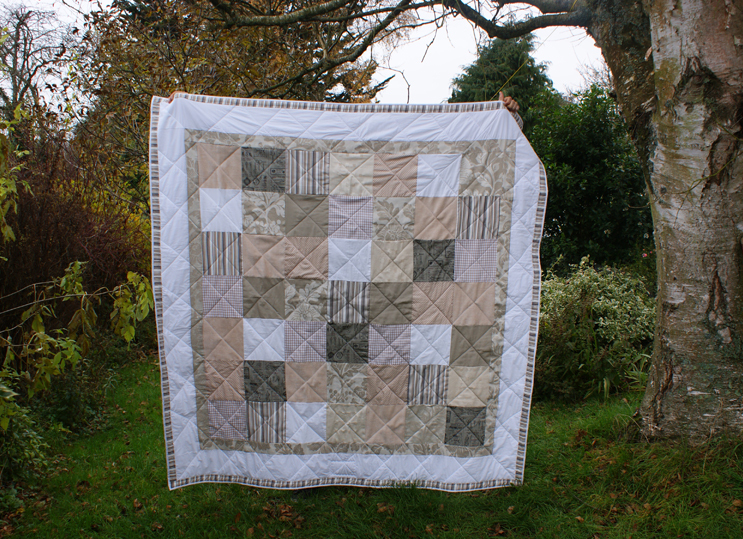 When we met again a month or so later, ‘D’ asked if I could make her a quilt in subtle, neutral colours and white with possibly a few focus patches. I said I’d do some research too and send her some photos of possible fabrics. We experimented with some colour combinations incorporating subtle aquas, taupes, beige and soft pinks. 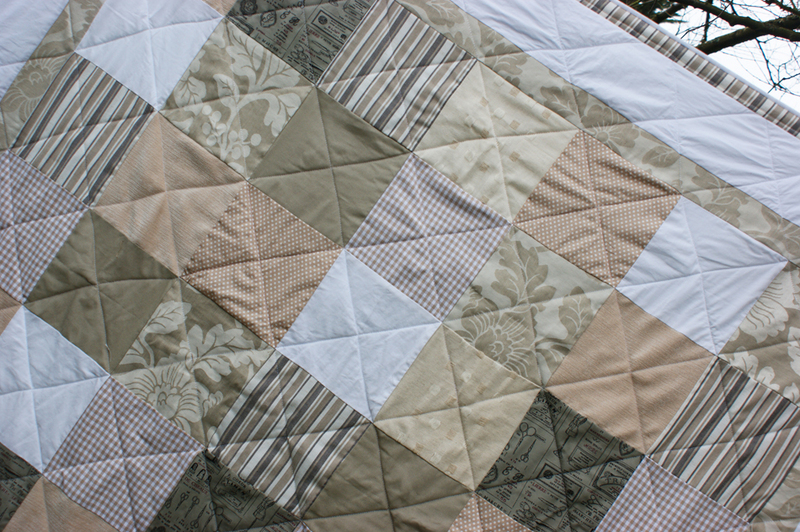 However, D had a colour scheme in her mind’s eye and it was my job to translate it into fabric. Quickly we ditched the colours, and then met up and went fabric shopping together, deciding to work with large square patches to fit over a double bed. 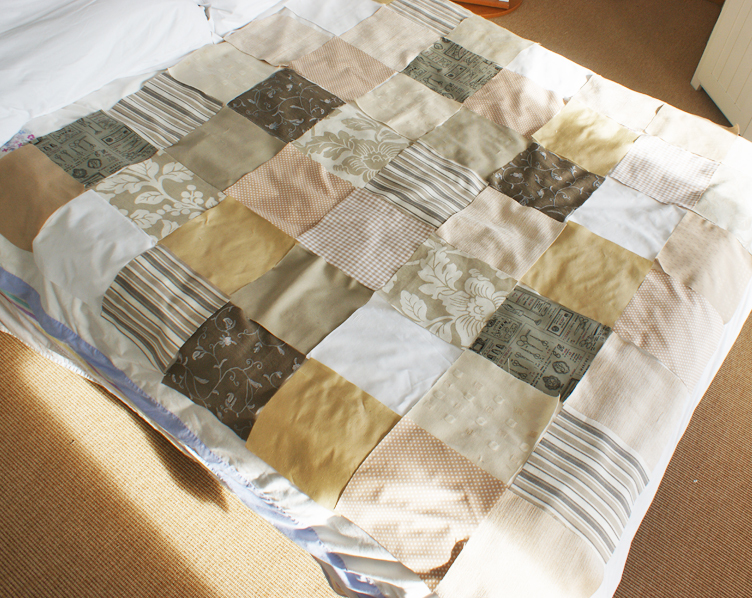 D had an idea that she may like some honey tones, a script fabric and stripes. 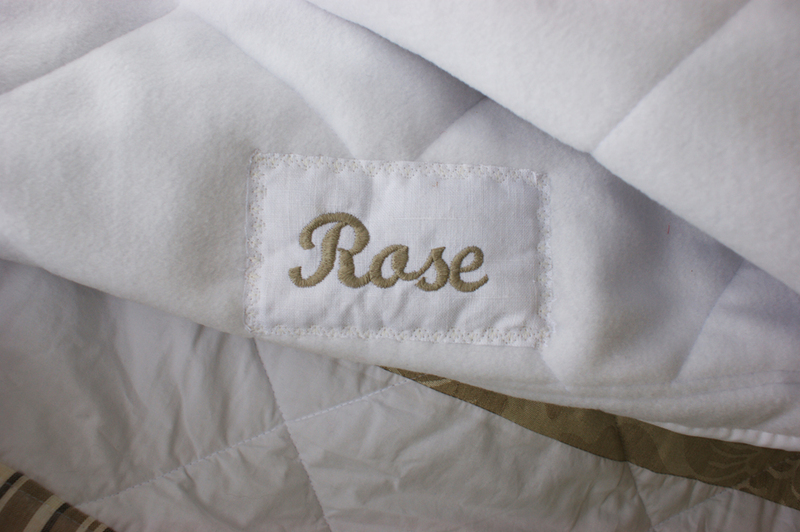 We rummaged together through remnant tubs and found some beautiful textured floral fabrics that she loved. The darker script worked well, the stripes were awesome but somehow those honey patches and a darker floral didn’t fit in- so out they came! A further hunt – now going solo – I discovered a beautiful gingham that I thought would be just perfect. This one was out of my usual comfort zone of colours but it was great to work with my client and make it all work together. We were both delighted with it!!! 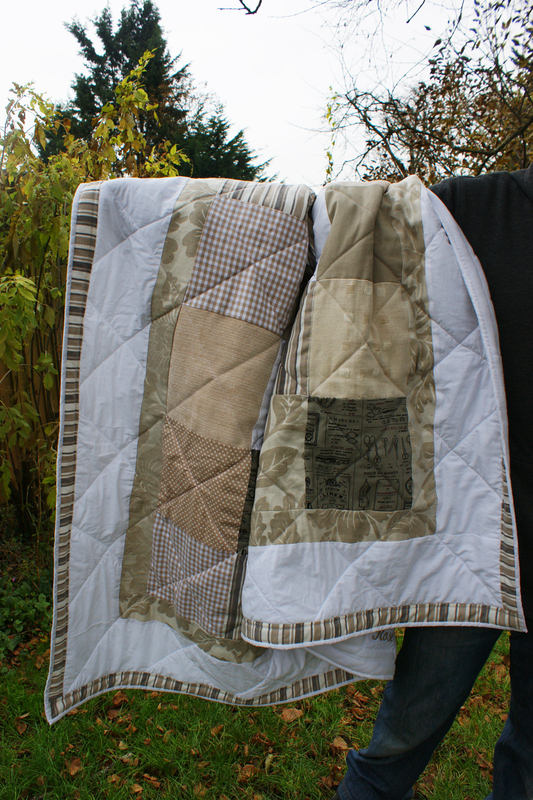 You are currently reading A quilt commission … at Adaliza.